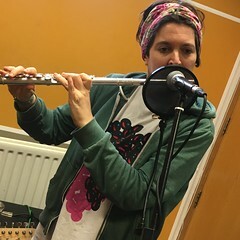 Live in session on Resonance FM this Saturday 18th March 2017 were Emma Tricca & Jason McNiff, The Evil Usses and Run Logan Run. This entry was posted in dexter bentley, hello goodbye show, Hello GoodBye: Playlists, resonance fm and tagged dexter bentley, emmat tricca, hello goodbye show, jason mcniff, resonance fm, run logan run, the evil usses. Bookmark the permalink.